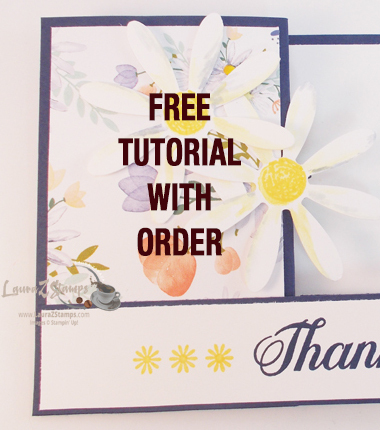 I LOVE the Sunflower background stamp. 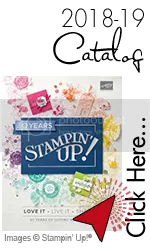 The Large stamps were always considered big background stamps-so that is why I referred it that way. Actually, this stamp can stand on it's own as I have done in all these ideas. 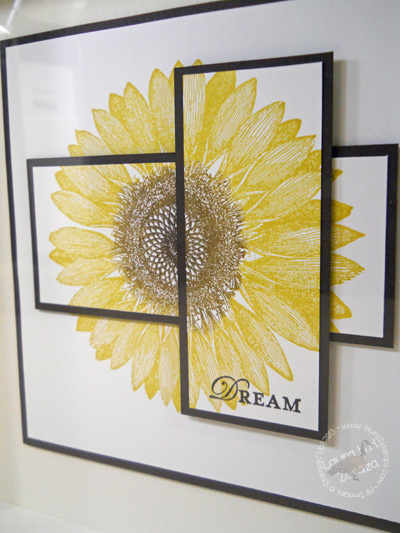 And I will probably be creating more things in the next few weeks using the Sunflower. Today I have a video (Long time coming) of how I did my Dream cards for convention. A few of you have emailed me to see how I achieved the background, the layers of the Sunflower. So I whipped up a video for you. I also have another Shadowbox, bigger (9" X 9") this time for an upcoming Craft fair. Love it -Hope some one buys it!! 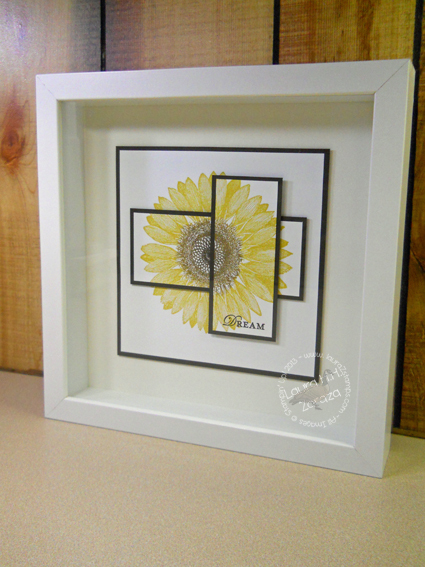 Love the the sunflower…my question is, how did you achieve the 9×9 size with the stamp you used in the video? Is the sunflower stamp still available? It’s no longer available, sorry.The picture on my Blog with the video that you commented on, that is the 9″ X 9″ Ikea box. I just popped up the pieces with dimensionals. It gives the illusion of bigger and floating. Thanks.